1. COERVER® Coaching reserves the right to cancel any of its Programs at any time but will endeavor to give at least 48 notice prior to the event. 2. If in the event of a Program being cancelled due to inclement weather, the Participant will receive a credit to attend the next scheduled Program to the same value. 3. If the weather is inclement Participants must attend the designated venue each day. The Program Coordinator‘s decision on program commencement, postponement or cancellation shall be final. 4. COERVER® coaching reserves the right to limit the number of Participants in its Programs. 5. COERVER® coaching reserves the right to change venue within 10km of the originally nominated venue in the event of inclement weather. 6. In the event of inclement weather COERVER® coaching reserves the right to extend the period of the Program by one day and/or an afternoon session, to ensure completion of the required hours of instruction. 7. There is no part refund once the day’s session has commenced. 8. Refunds are at the discretion of the franchise. 9. Any Program cancellation refund will be forwarded within seven working days of the last scheduled day of the Program. 10. Receipts will only be issued if specifically requested. 11. Should you require verification of acceptance to any Program please contact your local COERVER® Coaching franchise as no formal acknowledgement will be forwarded. 12. A service fee will be charged for dishonored cheque transactions. 14. Participants are required to wear shin pads, football socks, and soccer boots to all Programs. Futsal shoes or Joggers/trainers (preferably with clear/white sole) are required should it be necessary to attend an indoor facility. 15. Fees are not refundable within fourteen (14) days of the scheduled commencement date of the Program. Any request for refunds before this date will incur a 20% cancellation fee. 16. No Participant shall take the place of any other registered Participant at a Program for any reason without the full knowledge and consent of head office and the appropriate forms being completed for insurance purposes and fees being paid. 17. All registration forms must be processed through COERVER® Coaching. 18. Please note that any property left behind at Programs will be kept for a period of one month and if not claimed then will be donated to charity. 19. Participants agree to abide by all policies implemented by COERVER® Coaching. COERVER® Coaching will not be responsible for any loss, damage or injury arising directly or indirectly in connection with the participation of yourself and or your child / children in any COERVER® Coaching Program, conducted by or on behalf of a COERVER® Coaching franchise within its territory. The applicant acknowledges and agrees that in registering yourself and or your child / children in the Program you do so at your own risk and you accept the risks of you and or your child / children participating in such Program. You hereby release and discharge COERVER® Coaching, its related bodies corporate and its servants and agents, from any claims which you and or your child / children now or at any time may have in connection with or incidental to your and or your child / children’s participation in the Program. Nothing in this waiver is intended to exclude anything, which cannot be excluded by law. In the event of an injury or illness to you and or your child / children, you hereby consent to COERVER® Coaching, its employees and agents arranging any medical treatment that may be required (including, without limitation, any ambulance transport). You agree to pay on demand all medical costs incurred in relation to any injury or illness to you and or your child / children that are not already covered by your own private health fund or Medicare. The applicant understands that you and or your child / children may be photographed while participating in the Program and you hereby give permission for the use of your and or your child’s / children’s name and photographic likeness to be used in all forms of media for the promotion of any activity undertaken by COERVER Coaching or its related bodies corporate. Coupon Codes: From time to time, COERVER® Coaching and or our franchisees may offer Coupon Codes which may apply to any, or certain specified Program bookings or purchases made through the COERVER® Coaching Australia Website. Each coupon code will be subject to specific terms & conditions specified at the time the code is issued (including the length of time to use the code) in addition to those mentioned here. Only one coupon code can be used for a Program booking at any one time. A coupon code can't be applied to a booking after that booking has been placed. If the coupon code has expired, you won’t be able use it. If a coupon code is offered by a COERVER® Coaching franchise and can’t run properly because of fraud, tampering, technical errors or anything else that is beyond our control which affects the running, administration, security or fairness of the coupon code, we reserve the right to cancel, modify or suspend the coupon code. Coupon codes are non-transferable and cannot be exchanged for cash. If a single use coupon code is provided specifically to you for your own individual use, you must keep it confidential and only use it for making your own bookings or purchases on the website. COERVER® Coaching can’t accept any responsibility once we have given you the code and we are not obliged to provide you with a replacement if it gets lost and/or gets used by someone else as this will result in the coupon code being cancelled. 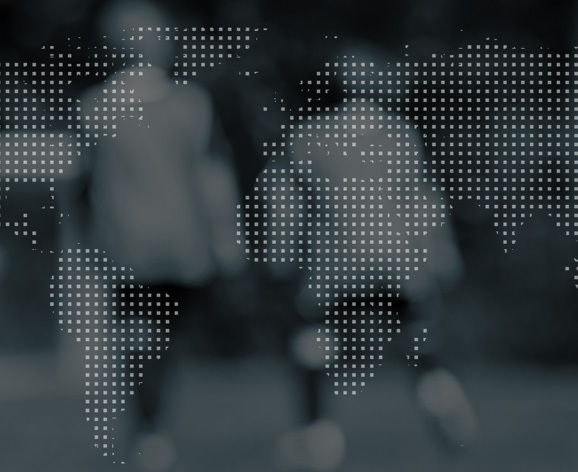 Sportsmethod Limited / Sportsmethod Asia Limited / Sportsmethod USA Inc ("SML"), control a network of grassroots soccer activities & franchised soccer schools trading under the name Coerver® Coaching. The Coerver ® name and trademark is owned by Sportsmethod Limited and Sportsmethod Asia Limited (the "Coerver® IP"). For the avoidance of doubt, attendance at a COERVER® Coaching Coach Program does not give the attendee any right to use the Coerver® IP in any way whatsoever. For example, a Coach Education Program Participant cannot refer to themselves as a "Coerver®" coach nor may they use the Coerver® IP to promote any product or service that they might provide now or in the future. Sportsmethod Limited and Sportsmethod Asia Limited reserve the right to pursue and where appropriate take legal action against any unauthorised use of the Coerver® IP. All rights are reserved by Sportsmethod Limited and Sportsmethod Asia Limited. The applicant must understand that registering for a Program affects their legal rights. The applicant understands that there are certain risks involved in the sport/activity that could result in injury and/or death. Football involves tackling and body contact which could lead to serious injury and/or death. The applicant registers for a Program in full knowledge that they have read the preceding document and understands it in full. COERVER® Coaching reserves the right to amend these Terms and Conditions at any time.